For a while now I’ve wanted to get into Green Lantern, but the problem with these long running series is that there is such a rich history in the mythos and in the characters so it’s hard to find a place to start. I picked up Green Lantern #1 and #2 and my local comic shop, Chris’ Cards & Comics, but I realized that there had to be something before that - and I was told by the store employee that Green Lantern: Rebirth is a good place to start and get you ready for the story going forward. So, I put the other two issues I had into a drawer and waited a week while Rebirth was being brought in from their other store. I read the entire thing this weekend - and although I thought it was really good and got me excited to read the series, I’m not going to lie - I was a fair bit lost during some of it. You have to understand that I am a real newbie when it comes to comics. Sure I’ve read comic books for years, but it wasn’t until this past year that I’ve taken my comic book reading “more seriously” - if in fact that is at all possible. I’ve read a bunch of series that have started more recently where I can start at issue #1 and it really is the true beginning of a story. 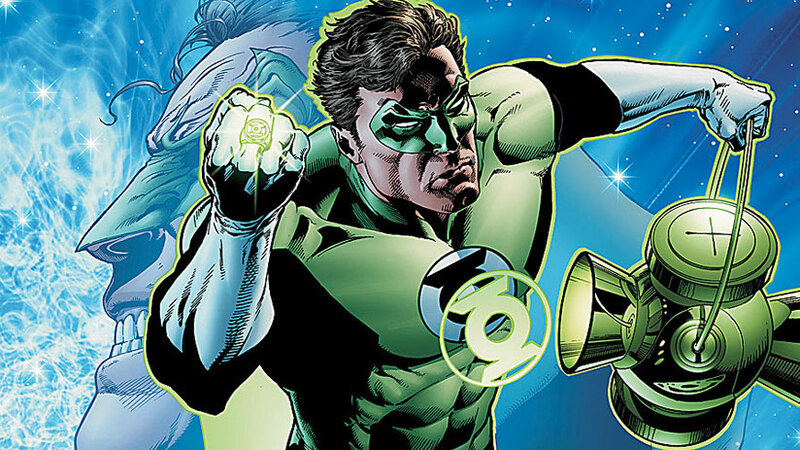 With Green Lantern, the true beginning of the character is in 1940 and over the years the mythos has expanded greatly, and the character itself turned into many characters all part of the universe spanning Green Lantern Corps. All of this happened before Rebirth, and I was doing my best from what little I knew about the character to piece together what happened to Hal Jordan’s Green Lantern in the past that lead to his demise and ultimate return. And a lot went over my head. BUT - I thought that Geoff Johns, the man who had the ambition to restore Hal Jordan as a hero, did a fantastic job of writing, and even with my naivete to a lot of what was going on, I still got enough to realize just how huge a deal this was in the comic book world. That, along with the great art by Ethan Van Sciver, has allowed me to enter the world of a character that I’ve been fascinated with for a while now. And, while I’ll never understand everything that is going on, and I’ll always have questions - and holes in my knowledge of the mythos - I am really happy to finally have some understanding of why Green Lantern is so great. And I look forward to devouring every issue of this latest volume, and I better hurry up - I have years of comics to catch up on!